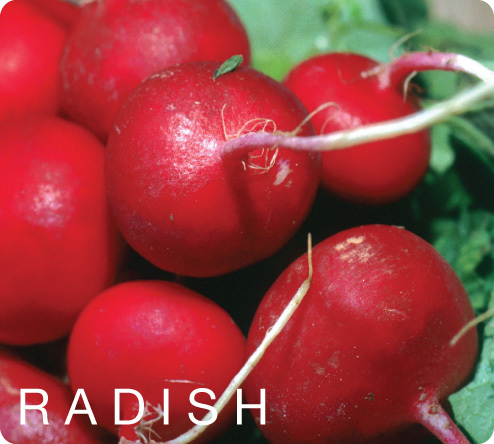 Radishes are an excellent source of vitamin C, calcium, trace mineral molybdenum, potassium and folic acid. Radish contains cancer-protective properties as it is a very good detoxifier. Among other medicinal properties are: good for liver disorders; helps in urinary disorders, as it cleans the kidneys and inhibits infections in them as well as the urinary system; improves digestion; and is helpful in skin disorders as it as a disinfectant and refreshens.